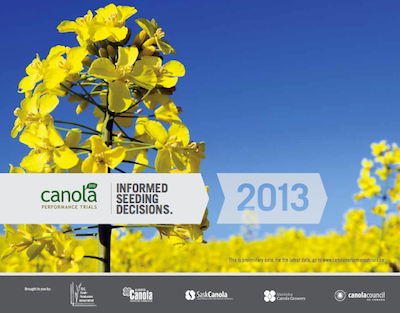 Results from the 2013 Canola Performance Trials are uploaded to the site at www.canolaperformancetrials.ca. Compare varieties by yield, days to maturity, lodging and height. Also compare 2013 results to 2012 and 2011. If clubroot has moved into the area, this might be the year to consider a clubroot resistant variety — if you haven’t already. November is a good month to check canola bins again. As outside air drops to below zero, this ramps up moisture migration cycles within the bin. Check cable readings, and take some canola out of suspect bins. Growers who have delivered some grain over the past couple weeks can use empty bins to move canola around and check that it’s not warm and smelly. Canola Performance Trial (CPT) results have been tabulated and will be posted soon at www.canolaperformancetrials.ca. Data from these audited third party trials are a great way to critically assess variety choices. Clubroot-resistant canola is the best tool available to limit disease damage in fields infested with clubroot. However, an effective overall clubroot management strategy has to be top of mind in all years, not just canola years. As a soil borne disease, clubroot can spread no matter what crop is grown on a field. Any pass with the drill or cultivator, for instance, will pick up and move soil — and, therefore, clubroot spores. Even with a one in four canola rotation, clubroot can be spread all around the farm in the intervening years. 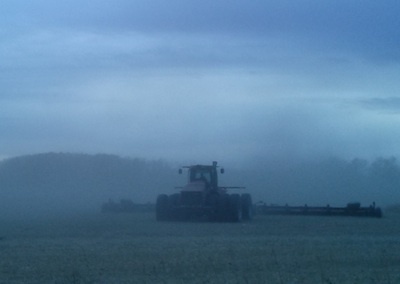 When outside air is colder than stored canola, another moisture cycle begins within the bin. The grain mass on the outside edge cools first. This colder air migrates down through grain along the bin wall then up through the central core, picking up warmth and moisture along the way. This creates a pocket of humid and warmer air at the top of the central core where spoilage and heating can start.